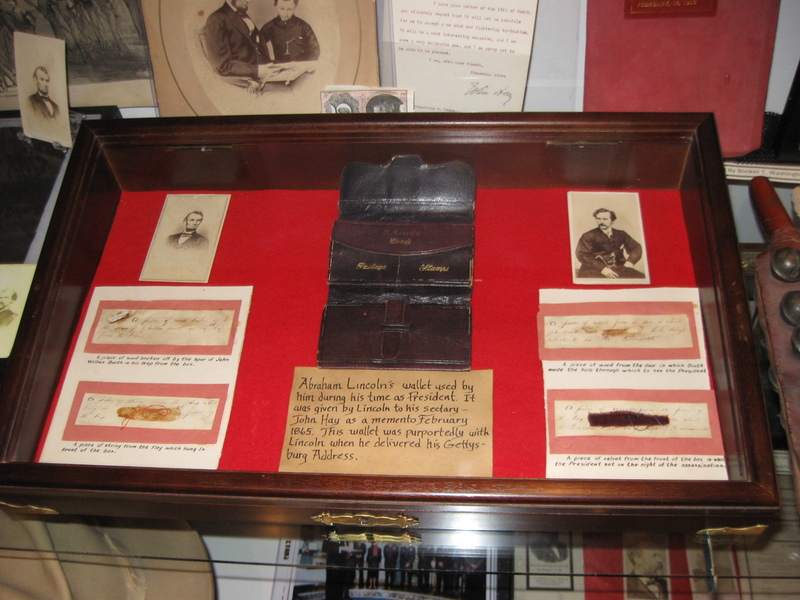 President Abraham Lincoln’s wallet of one of the many interesting items at the FREE Gettysburg Museum of History. This view was taken facing south at approximately 5:15 PM on Monday, February 1, 2010. 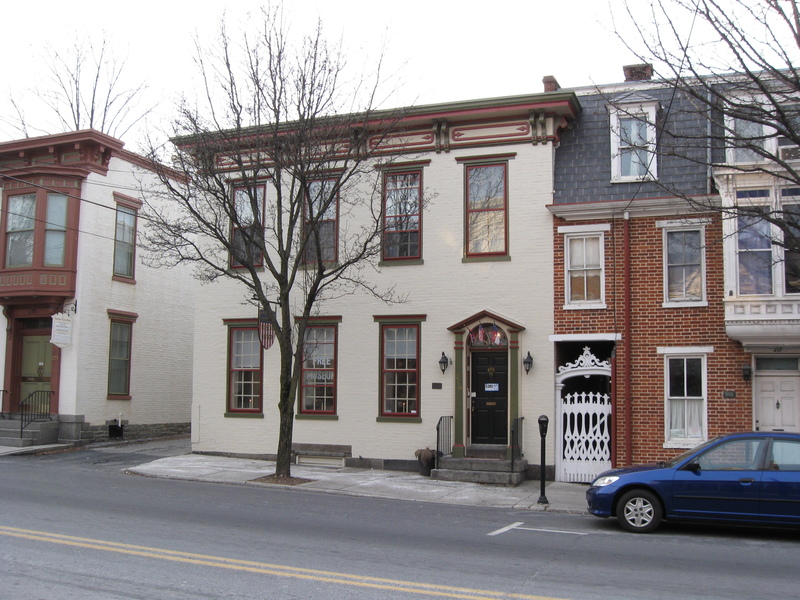 The Gettysburg Museum of History is located in the light-colored structure at 219 Baltimore Street. This view was taken facing north at approximately 4:45 PM on Monday, February 1, 2010. In Video #1, owner Erik Dorr introduces us to his museum and to some of the artifacts that his family found on their postwar battlefield farm. This view was taken facing southwest at approximately 5:15 PM on Monday, February 1, 2010. 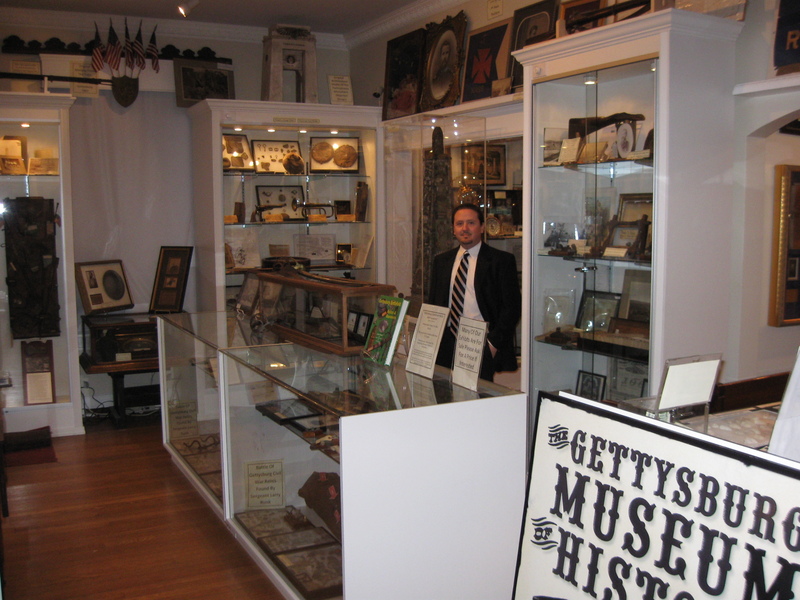 Erik Dorr is the owner of the Gettysburg Museum of History. He is standing in the Civil War room. This view was taken facing southwest at approximately 5:15 PM on Monday, February 1, 2010. In Video #2, Erik Dorr gives a quick walk through the rooms of his museum. This view was taken facing many ways at approximately 5:15 PM on Monday, February 1, 2010. 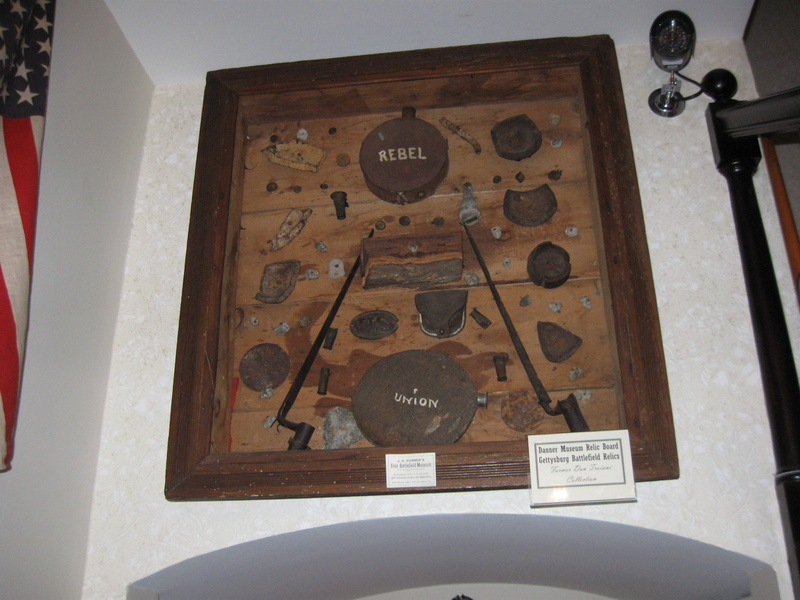 This “shadowbox” of relics originally produced by the Joel A. Danner Museum. In 1875, the Danner Museum was located on Baltimore Street near the Fahnestock House. This view was taken facing southwest at approximately 5:15 PM on Monday, February 1, 2010. In Video #3, Erik shows us shadowboxes, an Antietam relic obelisk, and other items from the Danner Museum. This view was taken facing in more than a couple of directions at approximately 5:15 PM on Monday, February 1, 2010.